The giant Vision Fund may inject more cash into the loss-making shared-office provider at nearly double its previous $20 bln worth. WeWork is growing fast, but that was already priced in. One test is whether SoftBank puts a lot of money where its mouth is, or only a little. 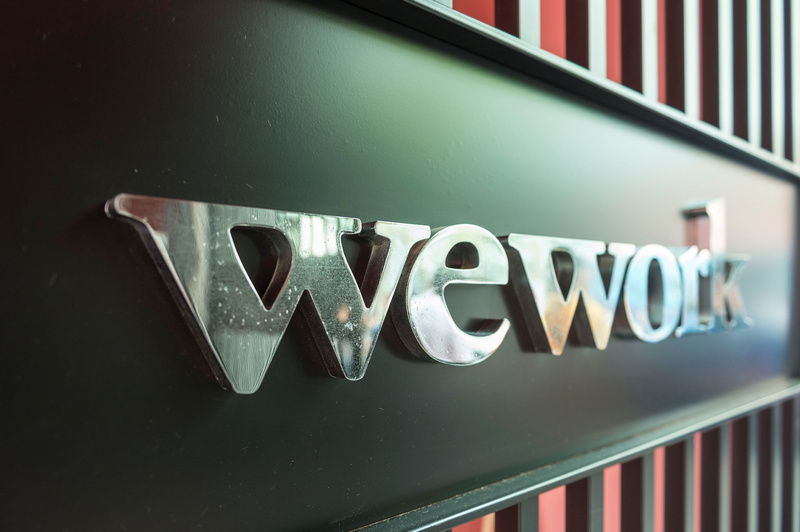 A logo of U.S. co-working firm WeWork is pictured during a signing ceremony in Shanghai, China April 12, 2018. SoftBank’s Vision Fund is in discussions to invest money in WeWork in a funding round that would value the shared-office provider at $35 billion, according to Rajeev Misra, who heads the nearly $100 billion fund. He made the remarks at a conference in London earlier this week. Misra predicted WeWork would be worth $100 billion in a few years, according to Business Insider. SoftBank’s fund invested $4.4 billion in WeWork last year in a deal that valued the company at around $20 billion. WeWork more than doubled its sales in the first quarter of 2018 to $342 million, the Financial Times reported on June 14, citing an internal memo seen by the newspaper.